Venus is a blistering hellscape of a planet that melts anything it comes in contact with, right? Not entirely. 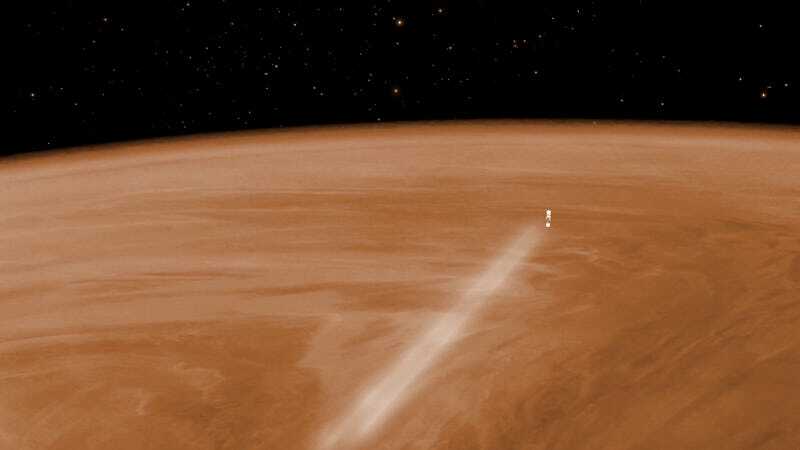 The data from the European Space Agency’s first mission to Venus is back, and with it comes some fascinating insights into our nearest neighbor’s atmosphere. It turns out, parts of Venus are very, very cold. Arriving at Venus in 2006, the ESA’s Venus Express mission was intended to last 500 days. Instead, the probe proved an exceptionally worthy investment by exploring Venus for the next eight years. Eventually, Venus Express ran out of fuel. Then, like so many space probes before it, it made a suicidal plunge to the planet’s surface. Venus Express lost contact with the Earth in November 2014, and by now, we can safely assume it has melted into an expensive puddle of e-waste. But before all that happened, back in July 2014, Venus Express performed an important technology demonstration. As it descended around Venus’ polar regions, the probe allowed itself to be slowed by atmospheric drag—a process known as “aerobraking.” Onboard accelerometers acquired precise measurements of the drag, which scientists on Earth used to calculate atmospheric properties like density and temperature. And the spacecraft’s swansong science has yielded some big surprises. For one, the planet’s polar atmosphere is way colder and less dense than we expected, with an average temperature of -157 degrees Celsius. As the ESA notes, that’s chillier than any spot on the surface of the Earth. 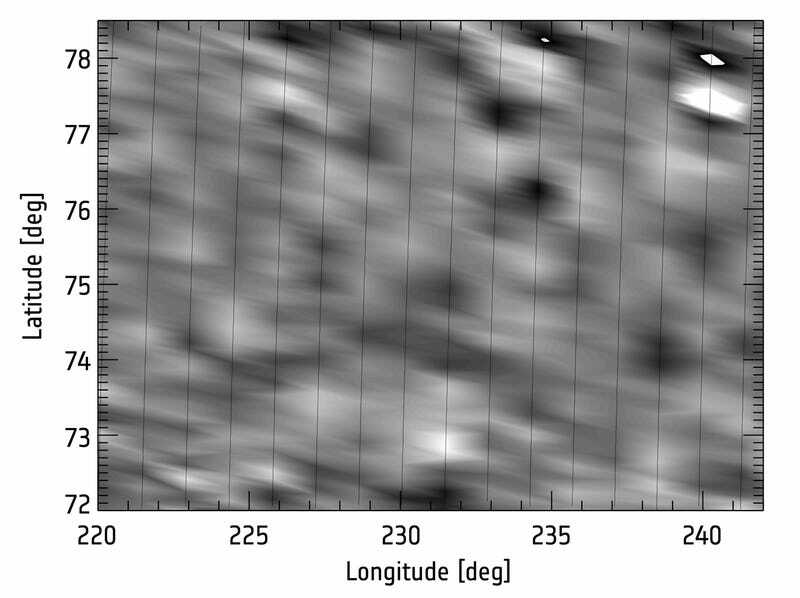 What’s more, the polar region is dominated by strong atmospheric waves. These waves are often likened to ripples in a pond, except they travel vertically rather than horizontally. Atmospheric waves help shape our planet’s atmosphere, and as they’re partly responsible for the beautiful haze layers New Horizons discovered over Pluto. This marks the first time we’ve measured them on Venus. Finally, Venus Express’ suicide plunge demonstrated that aerobraking is an effective way of making a controlled descent. The space agency’s ExoMars mission, which is scheduled to arrive at the Red Planet in October, will also use aerobraking to gently insert itself into a low-altitude orbit. Personally, I love studies like this because they remind us just how little we know about the planets in our own backyard. A few years back, who would have guessed that hothouse Venus would feature a roiling and frigid polar atmosphere? Clearly, our nearest neighbor is still full of surprises.